Yesterday, the GAA announced the fixture list and provisional dates and times for the 2019 National Hurling League games. Once again this year, Wexford will compete in the top-tier of the NHL. And certainly, their opening game against All-Ireland Champions Limerick at home in Wexford Park will whet the appetite for an exciting year. Overall, Fitzgerald and Wexford should be content with their provisional fixture list, and particularly, the three big games (Limerick, Tipp and Kilkenny) they have at home in Wexford Park. A win or two at home and they’ll be slightly confident about travelling to Pairc Ui Chaoimh and Cusack Park. 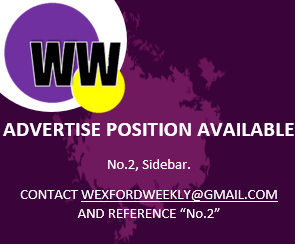 On the other hand, a run of losses and there could be a lot riding on Wexford’s last game versus arch-rivals Kilkenny in the final round. Wexford vs Limerick @ 2pm, Wexford Park, Sunday 27th January 2019. Cork vs Wexford @ 2pm Pairc Ui Chaoimh, Sunday 3rd February 2019. Wexford vs Tipperary @ 2pm, Wexford Park, Sunday 17th February 2019. Clare vs Wexford @ 2pm, Cusack Park Ennis, Sunday 24th February 2019. Wexford vs Kilkenny @ 2pm, Wexford Park, Sunday 3rd March 2019. It’ll be interesting to see how Davy Fitz lines out his Wexford team in this year’s league campaign, but to say we’re excited already, would be a huge understatement.